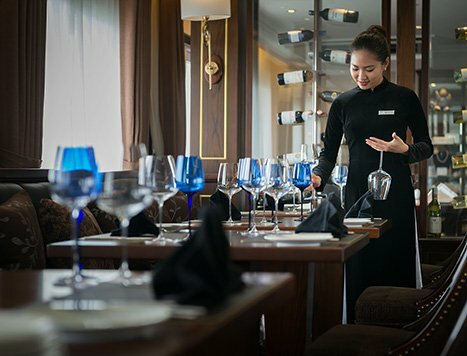 A sleek, modern vessel that fuses contemporary styling with Vietnamese design concepts, the Paradise Elegance is a meticulously designed steel boat that has reimagined luxury cruising on Halong Bay. 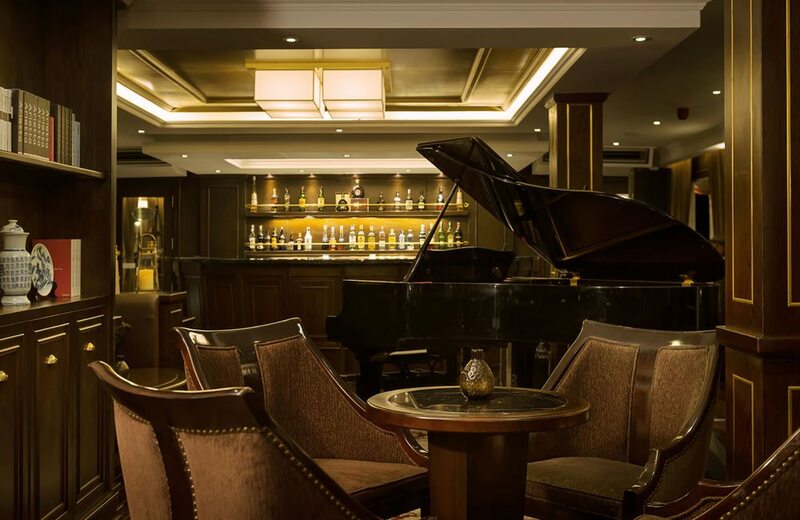 Boasting a piano bar, day spa and wellness centre, butler service and the full range of dining options, the Elegance is a work of art, the experience exquisite, the journey flawless. The Deluxe Balcony Cabin is the Paradise Elegance's entry-level cabin. 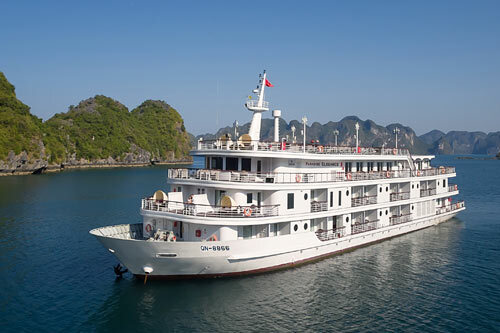 Comfortable and spacious, the emphasis is on a premium experience that mirrors the magnificence of Halong Bay. 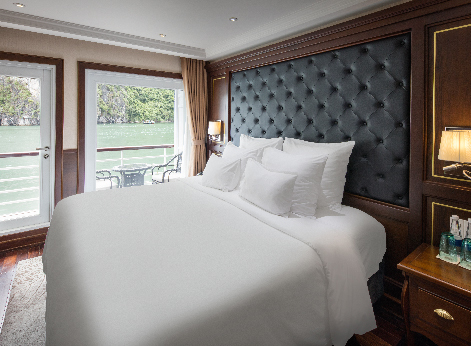 Located on the main deck of the boat, each Deluxe Balcony Cabin is equipped with a queen-sized bed, a spacious private balcony, walk-in wardrobe and a beautifully appointed bathroom. 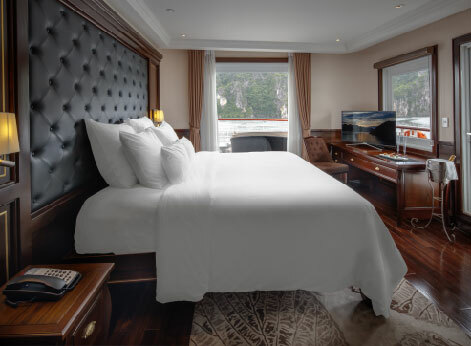 The Executive Balcony has all the amenities and features of the Deluxe Balcony Cabin, its location on the upper deck of Paradise Elegance means breathtaking, unobstructed views of Halong Bay. After a day of filled with activities and excursions, guests can retire to the tranquility of their cabin and enjoy the smart TV and room service, and then watch the sun set over this timeless landscape. Located on the upper deck of Paradise Elegance at the rear of the boat, Elegance Balcony Suite is perfectly positioned for privacy. 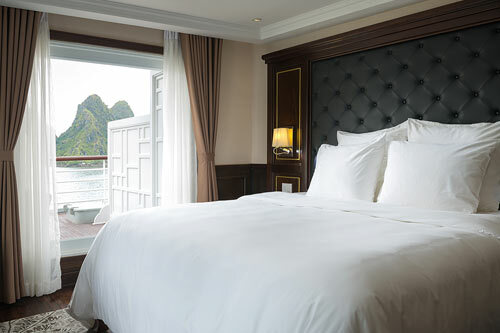 Roomy and comfortable, and with all the features and amenities of the Balcony Cabin, the Balcony Suite is deluxe rooms with stunning views of Halong Bay. 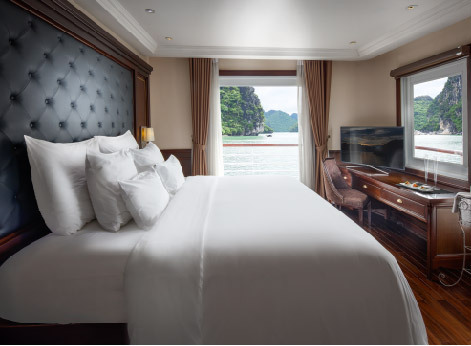 Located on the main deck of the Paradise Elegance, with panoramic glass windows and 180° views, the Captain's View Terrace Suite has raised the bar for luxury cruising in Halong Bay. 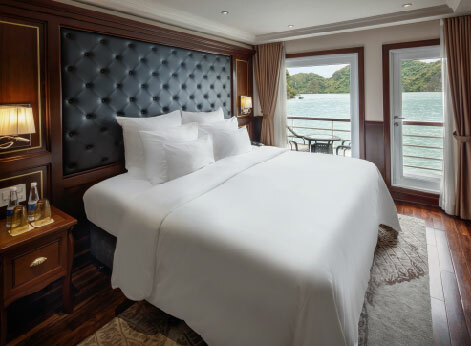 With attention paid to every small detail at every level, a stay in a Captain's View Terrace Suite is cruising at its absolute finest. Uncover the secrets of authentic Vietnamese cuisine and indulge in a diverse list of international dishes, all prepared with the highest quality produce and freshest ingredients, passionately cooked by our top chefs. Feast on a fusion of flavours with our lunch buffet, and salivate over the extensive à la carte dinner menu. In the morning, start your day with a delicious international breakfast buffet. 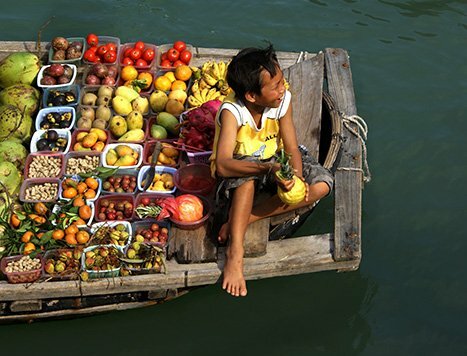 Our cruise packages are all-inclusive and we can cater for any dietary restriction. Paradise Elegance offers flexible 1 or 2 night programs, with excursions. Guests who cruise for two nights on Paradise Elegance will transfer to a smaller boat - Paradise Explorer - on the second day. Guests will cruise deeper into the Bay, with lunch served on Explorer. 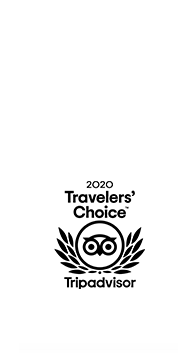 Please keep in mind that itineraries are subject to change by port authorities or cruising conditions. If there are changes, we will endeavour to replace cancelled excursions with equivalents. 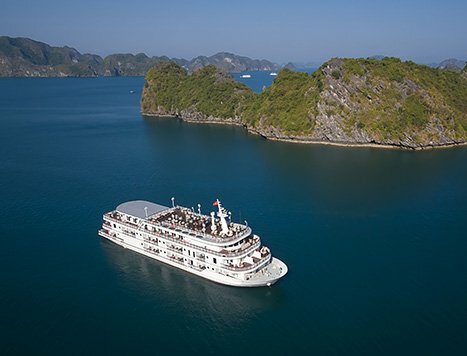 Halong Bay is a natural wonder, formed over billions of years. 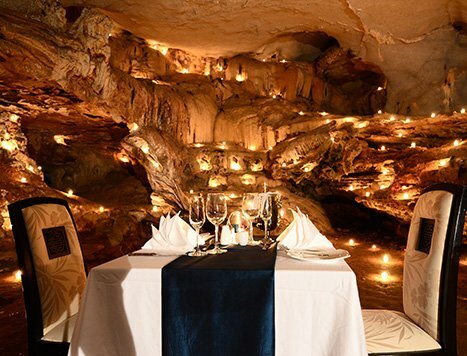 As well as just enjoying the breathtaking landscape from the sun deck, guests can hike to the top of islands for spectacular, panoramic views, visit working pearl farms, or delve into the cave systems that are a key feature of the region. 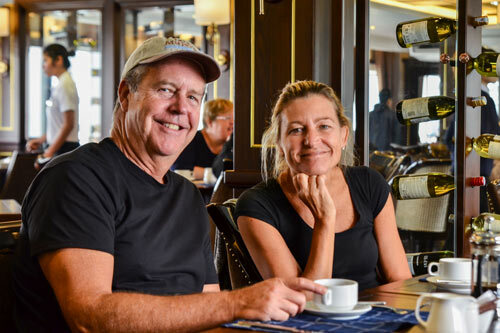 The variety of onboard activities on board Elegance is endless. 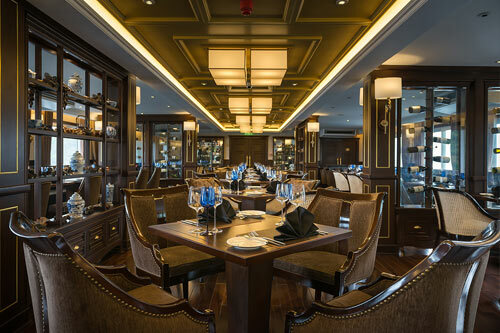 Indulge in a high tea, listen to live music in the piano bar, watch a Vietnamese cooking demonstration, enjoy a cocktail or two on the sundeck, or catch one of the latest movies. Do as little or as much as you like. It really is up to you. Paradise Cruise offers world-class spa facilities with its own spa rooms – single or couples’. A sumptuous haven in which to forget about it all while relaxing in the calming sounds of the emerald waters of the legendary bay. When you need to stay energized and too slothful to go out, we’ll keep you in the zone with a choice of freshly-prepared meal options in room service.